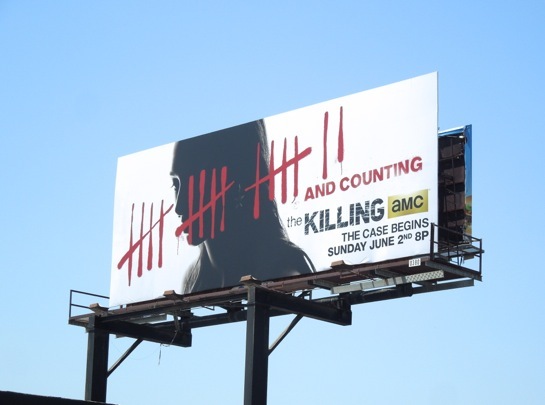 After being cancelled by AMC following a disappointing second season (and frankly following the controversy from not revealing the culprit at the end of the first season), The Killing has surprisingly survived and returns for a third season of rain-soaked murder and mystery in Seattle, Washington. 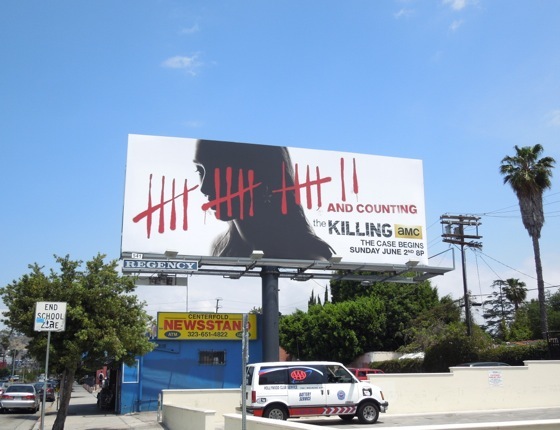 From the looks of this billboard with those bloody tally marks someone's been on a murder spree, but with thrilling competition from new serial killer dramas Hannibal and The Following, does The Killing still have what it takes to captivate audiences. 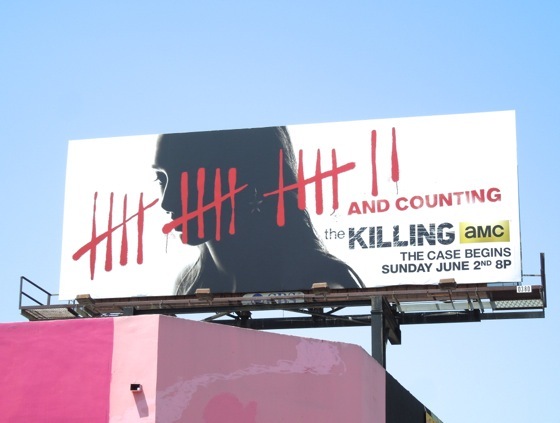 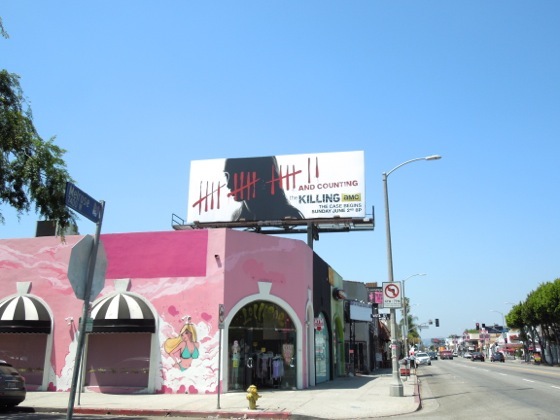 These arresting season three billboards were spied along Melrose Avenue on May 1 and Fairfax Avenue on May 8, 2013. 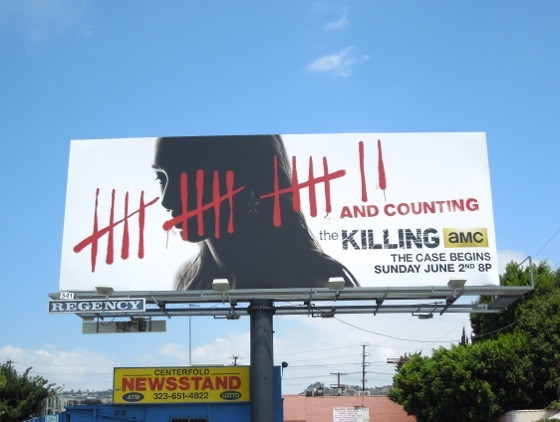 If you like this clever creative, be sure to also check out the season one billboard for The Killing and the atmospheric season two billboard for The Killing.